In the modern music industry, professional video content is becoming almost as important as making a great record. It is no longer the mystery of an artist that intrigues the average music fan, but rather the accessibility to experience their journey. As we watched that transition take place, our team set out to develop a video production department that could support our artists visibility with intriguing content. We started this process by creating Balcony TV Nashville. BTV has become a leading online music program that features artist performances filmed on balconies all over the world. The show has become a valuable outlet for us to promote our artists to a worldwide audience, and to introduce the world to the diverse music community in Nashville. Once BTV was established, we had a great production team to branch out into other aspects of content creation. Our video production department is unique in that it combines a team of skilled videographers with experienced music professionals. The result is a product that is both visually stunning and relevant to the current trends of the industry. We don’t just make videos, we create a visual experience that will help you connect with your fans. Our production team can provide music videos, youtube performance episodes, press kits, live performance production, studio documentaries, and much more! If you can imagine it, we can create it. Click here to check out a portfolio of our work!! If you want your live performance video to stand out, a great recording will make all the difference. There are very few Nashville recording studios that provide live recording services. So we set out to develop a variety of on-location recording options that would cover everything from a writers night to a major festival. Most video production companies will just record a stereo mix from the board at the venue. Sometimes they only use the audio from the camera. 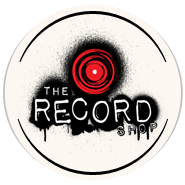 The Record Shop offers a complete multi-track recording of your performance. This method provides total control over each element of the mix. You can even overdub instruments or replace parts of the performance. You’ll no longer have to cringe at a solo that was too quiet, or your vocal that got drowned out in the room. Once the show is over, we bring the tracks back to the studio and mix the performance just like a record. The Record Shop offers a variety of recording packages to fit any budget. We have developed great relationships with most major venues in Nashville, so we can take care of setting everything up while you prepare for the show. In addition to venue recording, we can also provide an entire mobile recording rig for unique, on-location video shoots. Contact us here to learn more about our video production and live recording services! !